After Delhi implemented its first generation air pollution control measures during the early part of the last decade, there was an improvement in air quality. But this gain in air quality was soon lost. While improvement of technology remained an unfinished agenda, failure to address the explosive increase in the number of vehicles threatened to undo the small increment in air quality. Responding to this, Centre for Science and Environment had presented a statement of concern to the Supreme Court in 2005 regarding a public interest litigation on air pollution, for an action plan to control vehicle numbers and to augment public transport. This statement of concern was turned into an application; and while admitting it, the Chief Justice bench served a notice to the Delhi government directing it to formalise a strategy to control congestion and the number of vehicles. This was consistent with the global experience demonstrating augmentation of public transport, walking and cycling options also require supportive restraint measures to control growing dependency on personal vehicles and influence commuting choices. Singapore restrained car ownership through vehicle quota system and usage through electronic road pricing. London and Stockholm introduced congestion pricing in their central business districts. Hong Kong and Tokyo enforced stringent parking measures. Several European countries adopted vehicle taxation measures related to emissions. 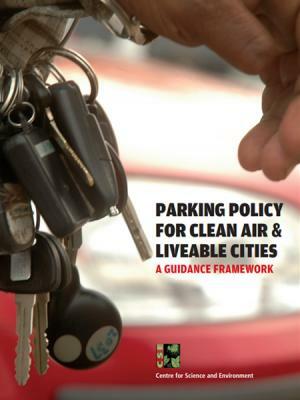 But themost widely practiced first generation restraint measure was parking policy as a demand management tool—pricing parking, limiting parking supply and enforcing parking management rules. This seemed the most attractive option for developing country cities that already have an administrative framework for some modicum of parking management measures. This had to be reoriented to manage demand and restrain personal vehicle usage. This can be deployed city-wide and create the framework for advanced restraint measures.